Percentage-wise, dropping just one baby would be a very good success rate, unless you happen to be that baby (or its parent)! So, obviously, the goal is to drop none. What about purity? Let’s say you are making a giant five gallon pot of the world’s best homemade chili. How much dog poop could you put in it before it impacted your desire for the chili? What about your mind? How much profanity and negative garbage is okay to allow into your mind? And since you can’t live life without being exposed to some negative input, shouldn’t you have pretty good “filters” to make sure the negatives get cleaned away before they get to the vital parts? If you run engines in a dirty and dusty environment you had better clean or change that air filter on a regular basis. If you watch a lot of TV, or surf the Internet haphazardly, you had better plan on spending extra time putting the good stuff into your mind. The best way to keep an engine running smoothly is to make sure you give it pure fuel, run it in a clean environment, and change the filters on schedule. Our bodies and our minds work the same way. Our minds need pure and positive input, our bodies need pure food, and we must develop filters that trap and discard that impure stuff that we are exposed to. Think about the miserable people you know – they let the bad stuff in, and they don’t have any filters to keep the bad stuff from gumming up their engines. 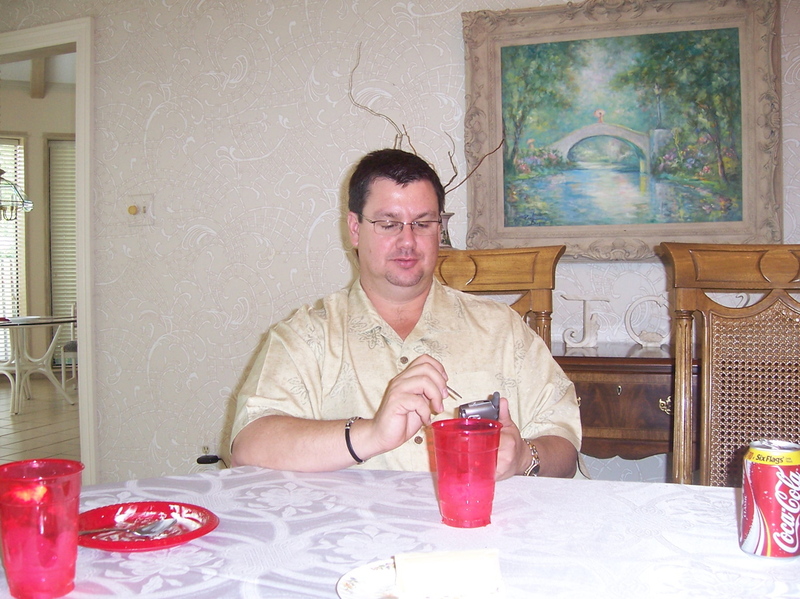 I started The Purity Diet in June of 2007 and as of today I have lost 71 pounds! It feels great to be on the north side of 70 pounds lost. I started at 255 pounds and for a while now my goal has been to get to 175 pounds. Only 9 more pounds to go! 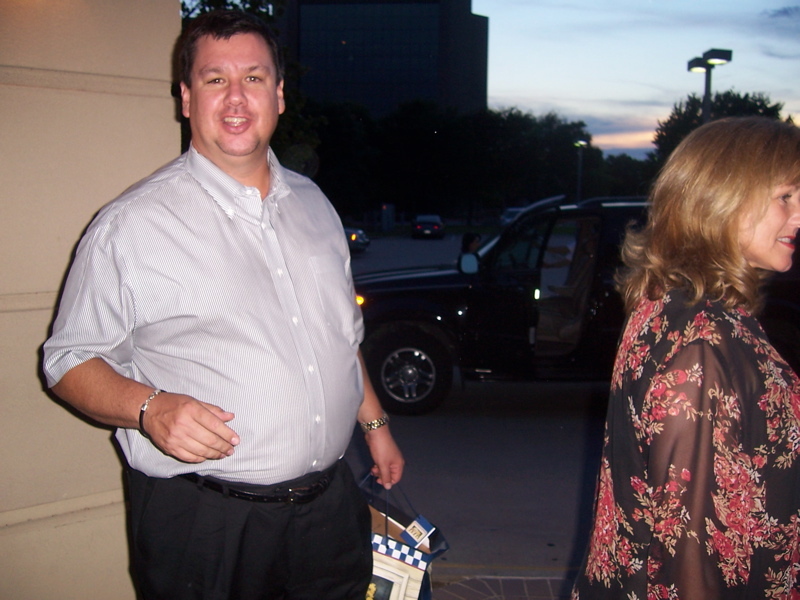 So now I have a short term goal – to hit 175 pounds before I attend the Dave Ramsey EntreLeadership seminar in Cancun on November 9th www.entreleadership.com . This means I have got to get “gazelle intense” as Dave would say. Sprinting Through the Finish – Five things I am doing to up the intensity. I am making sure my last pure food of the day happens before 7:00 p.m. Not only do you sleep better, but it is an easy way to loose a few extra pounds over the course of several weeks. Increase my workout intensity and the number of workouts each week. I am doing 30 minutes five days a week of the interval training I talked about in The Simple Workout, and I am going at it hard. This is up from an average of four days a week and a 25 minute average. Fasting. I plan on having a couple of one and a half day fasts between now and November 9. I have been doing this all along and I do it mainly for spiritual reasons, but it also helps you break weight loss plateaus as well. The day I start the fast I plan on having a larger than normal lunch. My favorite is a sushi buffet with lots of fresh fish and not much rice at all. Then I start drinking a bunch of water and iced tea. Hey, I am from Texas and I was weaned on iced tea! Only now I drink it straight, no sugar, no sweeteners, just good old iced tea. The second day I do the same. If I start to feel a bit sluggish I will make a lemon water drink and add some organic grade B maple syrup to it. Sipping on this gives you a boost of energy over time. You can also add the cayenne pepper to it like they recommend in the Lemon Cleanse. I started taking Udo’s Oil 3-6-9 Blend. My sister Julie got me on this. It is supposed to be the perfect combination of Omega Fatty Acids. I will let you know how I feel after being on this a few weeks. I also just started taking locally grown bee pollen and locally grown oney. Just reading about these two things makes your pure! Google them booth and see what I mean. Not in the top 5, but I did discover an amazing statistic. Researchers are now saying that for every hour of exercise you do, it is estimated your life expectancy goes up by two hours. I am making plans right now to start working out 12 hours a day! I will keep you posted on my weight loss over these next seven weeks. I just need to loose a tad over a pound a week. Didn’t someone famous say you can make radical changes in minute steps? (Thanks Dad!) As you can see, all I am doing is adding a little bit here and a little bit there, but I am also making sure I am adding the right kind of fuel into my system, and I am still listening to and reading the good stuff every day. By the way, if you have a pure weight loss tip, or if you have done the bee pollen or the 3-6-9 oil would you leave me a comment? Sometimes you just don’t need a lot of words! About 18 months ago I started on my mental Purity Diet. I decided I would listen to and read the good stuff every day. Thirteen months ago I started on my physical Purity Diet. I decided I would eat only pure, unprocessed food the way God made it. I have lost just over 70 pounds in the last year and feel awesome. I am convinced that if I hadn’t started the mental diet first I wouldn’t have stuck to the physical one. People ask me what I eat and what I don’t eat. The biggest change for me has been bread. 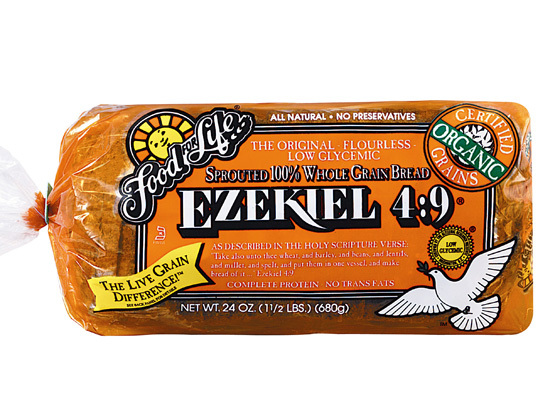 I don’t eat much bread anymore unless it is unprocessed sprouted bread like Ezekiel Bread. About this time last year (June 2007) I got sick and tired of being sick and tired. It seemed that life was just throwing its oozy, crummy, icky, stuff at me. Of course that is the nature of life, but why was so much of it sticking to me? Well folks, even though I have been blessed with growing up in the “Garden of Eden” when it comes to positive environments, and even though I am the CEO of “Motivational Mecca”, I had been doing some things that made it easy for life’s slime to stick to me. First off, the surface area of my body was WAY too big. Being 5’9″ and weighing 255 pounds creates a lot of extra area for that slime to land on! Plus, the stuff I was putting in my body just wasn’t so good. Have you ever had a shirt that collected lint or hair like there was a reward for it? Well, the food I was eating was pretty much collecting tiredness and grumpiness like there was a reward for it! So, realizing my seemingly unlimited capacity to ignore the obvious, I made a foundational decision to change the way I looked at food. I call it the Purity Diet. And I made it very SIMPLE. What is pure food? Pure food is simply food the way God made it. No chemicals, no preservatives, no refining or processing, as raw and natural as possible. I eat fruits, vegetables, nuts, grains, and all kinds of meats. Pretty much everything I was eating anyway! The big difference is the no processing and chemicals part. I don’t eat bread, pasta, flour, and other foods that are processed. I am also picky about the oils I use to cook with. No artificial sweeteners in my iced tea, either. Does it work? I have lost 66 pounds. The first 50 pounds came off in about 5 months. Best of all, I wasn’t hungry! And I can eat almost anywhere. 1. Is it pure? See definition above. If yes, proceed to number 2. 2. How many calories does it have? Nuts are pure and they have lots of good calories. Vegetables are pure and they have low calories. The key is balance and variety. Make low calorie/high nutritional choices when possible. 3. Is it organic and/or grown locally? Number 3 is the bonus question. I don’t go crazy on this one or limit myself if it’s not organic or grown locally. But if you have the choice, this is better. So that’s it. Oh yeah, I forgot the benefits. 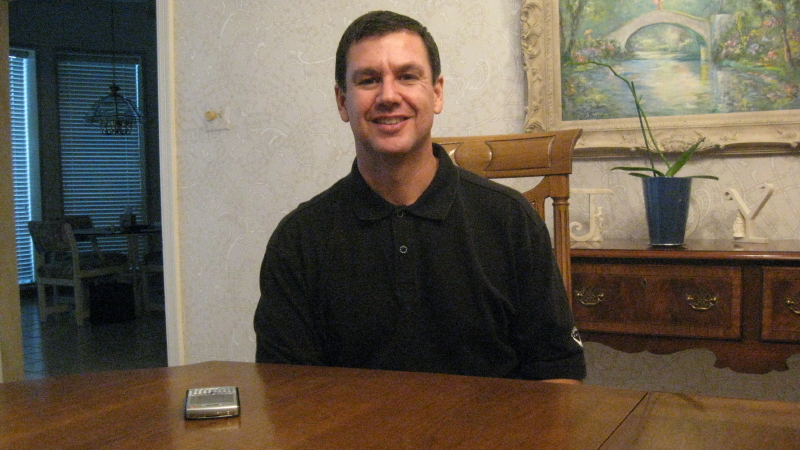 I feel great, look much better, sleep soundly, haven’t been sick in a year, have way more energy, and food tastes great! I am sure I will lose a few more pounds as the last four months have lost about two pounds a month – without even trying!